I want to make this very clear - not all PBMs engage in deceptive practices. 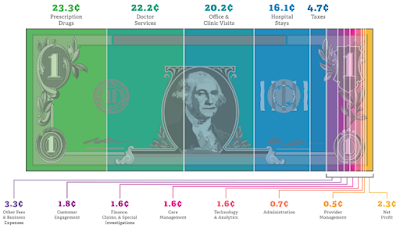 There is a relatively new model, fiduciary, some PBMs are embracing. This essentially means that a fiduciary PBM has taken the position to forgo driving revenue from hidden cash flows and instead earns revenue from a single source, an administrative fee [per script or per member]. A fiduciary PBM model provides payers with the opportunity to know the actual or true cost of its pharmacy benefit plan. While this new business model benefits both plan sponsors and their members, some traditional PBMs either can't or won't adopt the fiduciary model for all of its clients. Here are four deceptive practices traditional PBMs use to hide cash flows from their clients thereby significantly increasing the actual cost of the plan. It is not uncommon for some PBMs to mark-up mail-order medications as much as 500%! 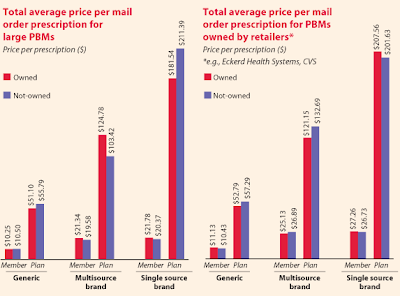 Why do you think traditional PBMs push so hard to move prescriptions to mail-order from retail? A fiduciary PBM will not make an undisclosed profit from mail-order dispensed medications. Again, it will only charge its plan sponsor a flat administrative fee per claim unless some other arrangement has been agreed upon. The savings are passed back to plan sponsor reducing actual plan costs. This is not to say that drugs dispensed via mail-order are a bad thing. In fact, mail-order can offer quite a bit of savings. But you must be aware of the arbitrage opportunities for non-fiduciary pharmacy benefits managers and eliminate them. There was a study conducted by the Pharmacy Benefit Management institute which concluded that 47% of a traditional PBM's revenue is derived from manufacturer revenue. Just think about this for a second. It is the plan sponsor driving the business for which these revenues are earned so why should they be earmarked for the PBM? These monies shouldn't be shared with a PBM, but instead passed back to the plan sponsor 100%. Hence, the fiduciary PBM business model. 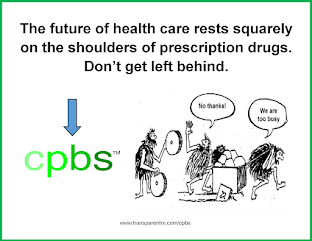 Don't be duped, there are many names traditional PBMs may use to hide rebate cash flows such as reimbursements or SG&A expenses. It doesn't matter; the plan sponsor is entitled too any money awarded by a manufacturer as a result of prescriptions dispensed from its plan member. 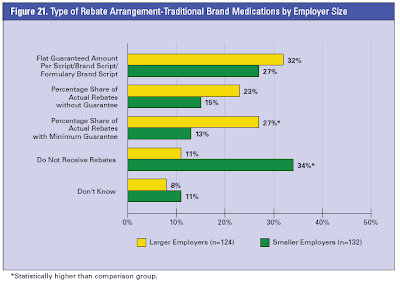 For a rebate eligible prescription drug, rebates are typically $2.00 - $3.00 per prescription. A deceptive tactic that is very common yet too many payers are unaware of its detrimental cost. Here is how it works; let's say that a PBMs billing terms to a plan sponsor are based on AWP or average wholesale price for a certain generic drug. But, the reimbursement to the network pharmacy for dispensing this medication is based on MAC or maximum allowable cost. MAC is always lower than AWP thus leaving a difference in price or contracting. The amount a plan sponsor is billed should be exactly the same amount a network pharmacy is reimbursed otherwise how can a plan effectively determine its actual pharmacy benefit costs. A spread occurs when a plan sponsor is billed the "least favorable" or higher amount for a prescription drug that is reimbursed by the PBM to the network or mail-order pharmacy at a lower cost. The difference or spread is retained by the PBM. This should never happen, but it does all too often. In fact, there is information in the marketplace suggesting that the average spread for prescription drugs dispensed as part of a pharmacy benefit is as much as $15! Again, if you don't know the spread even exists or its amount how can a CFO or benefits director possibly determine the actual cost of the plan? This begs the question, "how does this happen?" A simple example is when a PBM has different MAC price lists for plan sponsors and pharmacies. These MAC lists may differ in the number of drugs listed and/or their respective prices. A fiduciary PBM will not have any spreads and should contractually bound itself to such. To prevent this from happening to your organization always require full auditing rights, real-time access to MAC lists and claims data. Then compare the amounts billed (not all claims but maybe 20 or so per month) to the price lists and you're now in position to determine actual costs. I've discussed here only a handful of the hidden cash flows some PBMs use to keep plan sponsors in the dark. There are many more like effective network rates, repackaging, formulary steering and co-pay differential. If your current PBM doesn't provide full audit rights or access to all MAC price lists and you're still willing to "cut the check" then don't complain about rising healthcare cost.